Today we are announcing the generally availability of JVM Language Metrics. 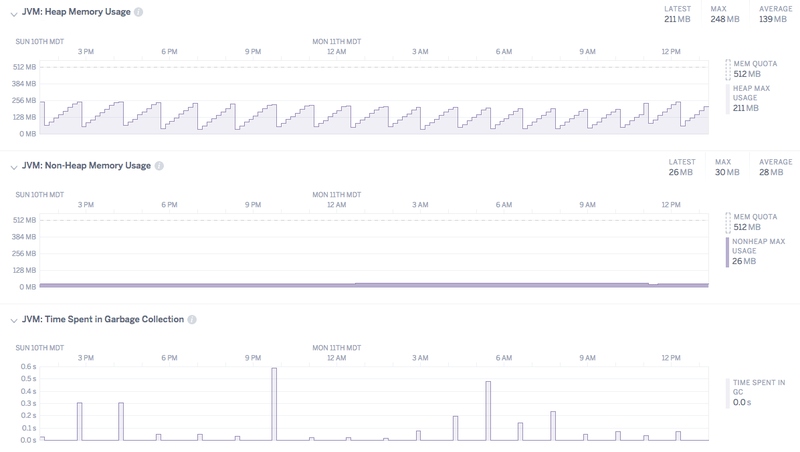 Now you can gain insights into JVM memory issues with the addition of heap and non-heap memory plots and garbage collection activity from within Application Metrics. Together with Heroku Exec this represents a major step forward for runtime debugging on Heroku. Performance impact from the additional metrics collection is minimal. Support is planned for additional languages, with Go now in public beta. More information on Language Runtime Metrics is available in our Dev Center documentation.